Yacht charters and boat holidays are becoming an increasingly attractive proposition for holidaymakers wanting to do something a little outside of the norm. Why go on the standard fly-drive, when a yacht holiday offers so much more in terms of freedom, scenery and being at one with the elements? Yacht charter and boat rentals worldwide are the expertise of Yachtico, a company specialising in sailing holidays with an array of rentals on offer that would make any wannabee sailor dribble with envy. 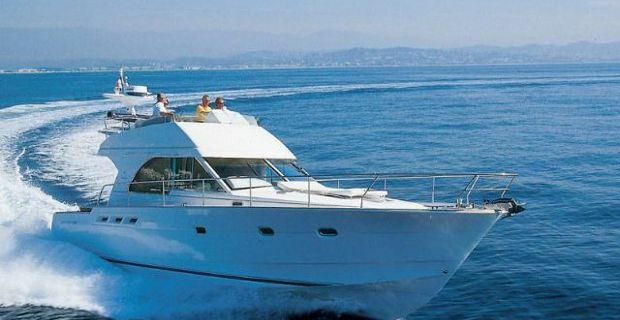 Offering four principle types of boat – sailing boat, catamaran, motorboat and houseboat, searches can be refined according to destination and cost. By entering ‘Caribbean Sea’ in the search box along with ‘catamaran’, for example, a list of all the available options will appear in price descending order. Prices are not for the fainthearted. Sailing boat and catamaran charters are generally the best value for money, starting anywhere in the £6,000 per week range and climbing to the 20 thousands depending on specs. Expect to pay anything from £20,000 to £700,000 per week for a motorboat that would turn heads in even the most exclusive, celebrity filled ports. Remember to factor all charter costs in the light of return air fares, which can stack up if your destination is far flung. Yachtico serve most popular destinations in the world, including, the Caribbean, the Seychelles, Thailand, the Algarve and Canary Islands, Baltic Sea and many more. If you are unsure as to where to go, use the the Yachtico destinations page. This provides a run down of all destinations according to climate, most popular charter areas and sea and weather conditions – particularly important in regions hit by hurricanes. These guides also indicate the best coves and beaches to moor at during your trip. It is this kind of invaluable insider information that gives any type of sailing trip the wow factor. A step by step guide to chartering a boat on the Yachtico website helps novices on their maiden voyage. Skippers are offered practical advice to consider before setting sail. And advice on itinerary is also available; handy if you don’t know the sea you are sailing well.